Georgia’s culture encompasses everything from quaint Colonial history to forward-thinking, high-tech industries. From Savannah’s alluring historic district to Atlanta’s sophisticated attractions, the Peach State treats guests to larger-than-life outdoor and cultural experiences that epitomize today’s American South. When you’re ready to escape bustling cities, head to heavenly barrier islands that stretch along its Atlantic coast. 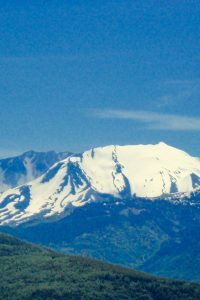 Diverse landscapes and more than 100 wildlife management areas make Georgia a top destination for hunters. Cedar Creek, southeast of Atlanta, is known for excellent turkey hunting, while Chickasawhatchee in the state’s southwest is abundant in deer, dove, quail and waterfowl. Georgia is also one of the few states where you can bag an alligator. Wild horses graze in the dunes on Cumberland Island, Georgia. Treasure hunters can try their luck at Consolidated Gold Mine in the northern town of Dahlonega. It’s the exact spot where miners struck gold in the 1800s. 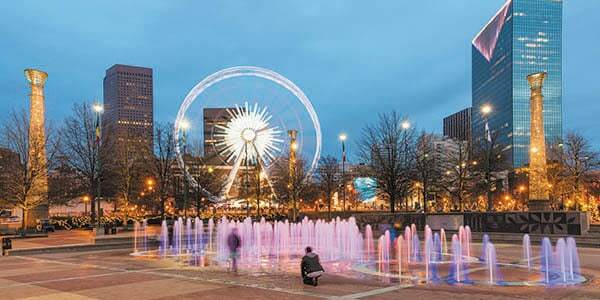 You’d be hard-pressed to run out of things to do in Atlanta. Coca-Cola was founded here in 1886, and the company’s bottling factory and the World of Coca-Cola — showcasing the biggest collection of Coke memorabilia in the world — never fails to dazzle. Gain insight into the Civil Rights Movement at the Martin Luther King Jr. National Historic Site. Drop by the Margaret Mitchell House, the place where “Gone with the Wind” was written, or delve into the life of a former president at the Jimmy Carter Presidential Library and Museum. South of Atlanta, in Macon, the Tubman Museum is the largest museum in the nation dedicated to educating people about African-American art, history and culture. History buffs will want to go to the Cannonball House, a building that bore the brunt of an artillery volley during the Civil War. Centennial Olympic Park and surrounding buildings in Atlanta. Just below the Golden Isles is Cumberland Island National Seashore, the state’s largest barrier island, with over 50 miles of hiking trails and 17 miles of pristine beach. 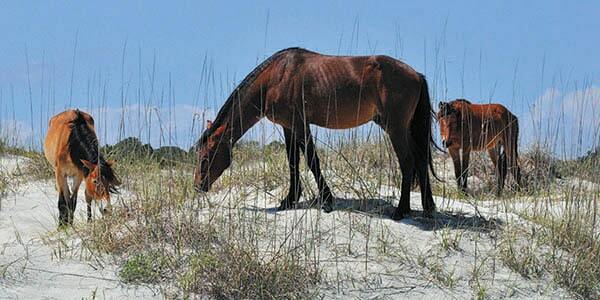 See the island’s feral horses running along unspoiled shores. Anglers have solid prospects for big hauls. Off the Atlantic coast, fishing enthusiasts will discover 31 offshore artificial reefs teeming with black sea bass, bluefish, grouper, red snapper and more. 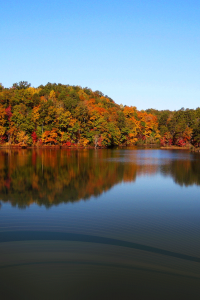 Inland, Lake Allatoona and Lake Lanier are home to striped bass, crappie and spotted bass, while streams in the northeast mountains teem with trout. The Peach State also has 10 public fishing areas.